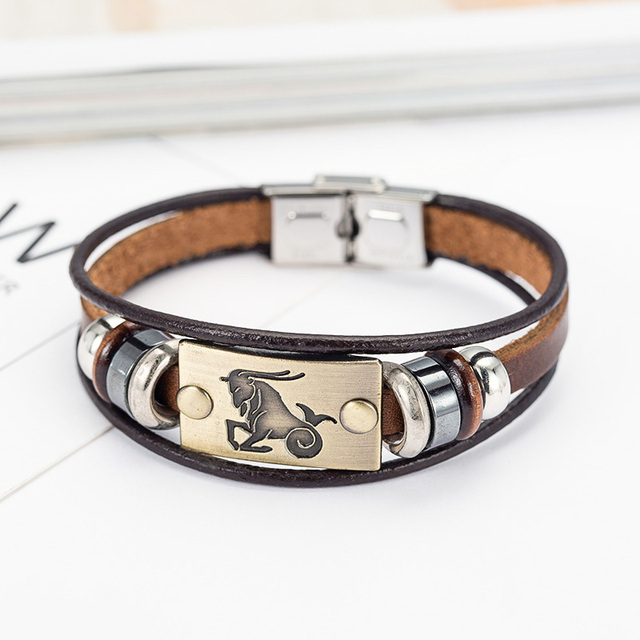 Get a bracelet customised with your very own Zodiac Sign. 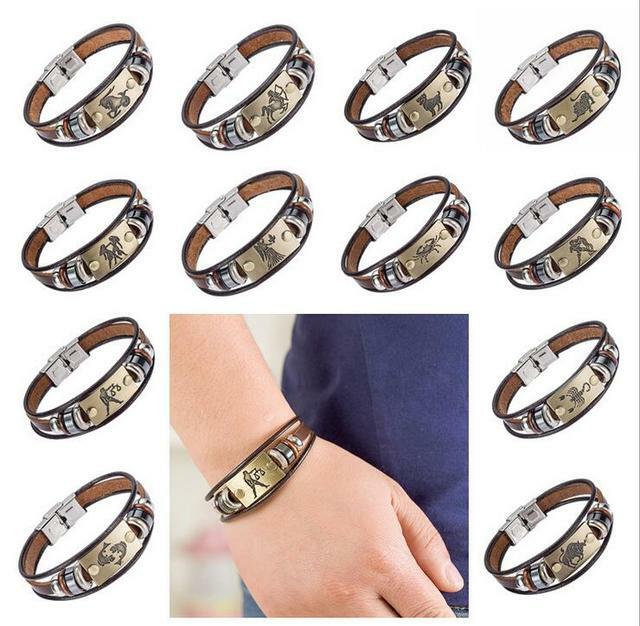 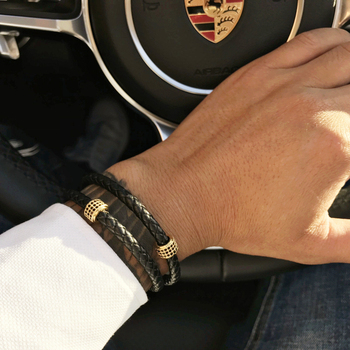 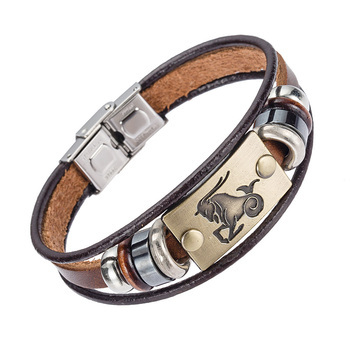 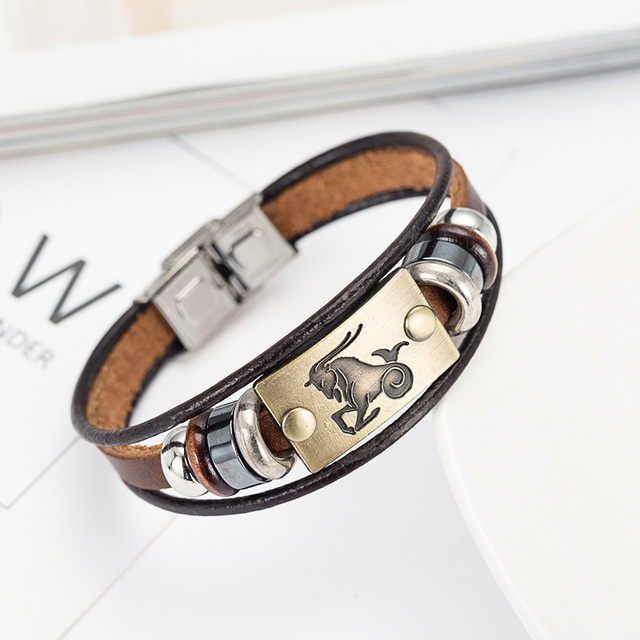 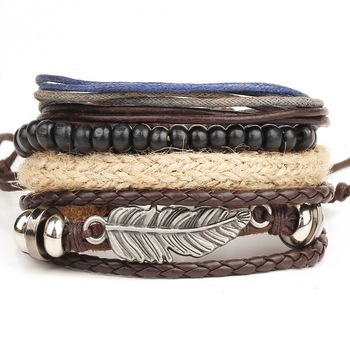 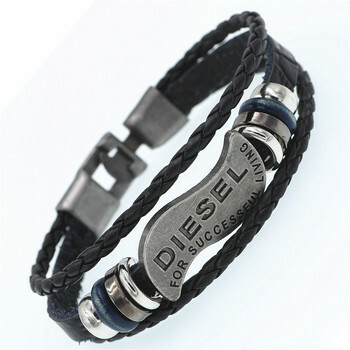 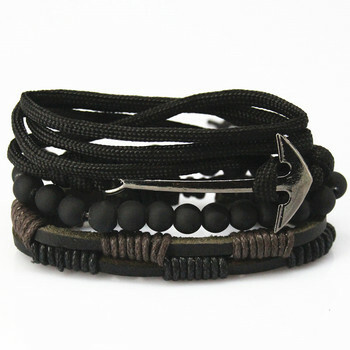 These mens leather bracelets have a choice of one of the 12 zodiac. 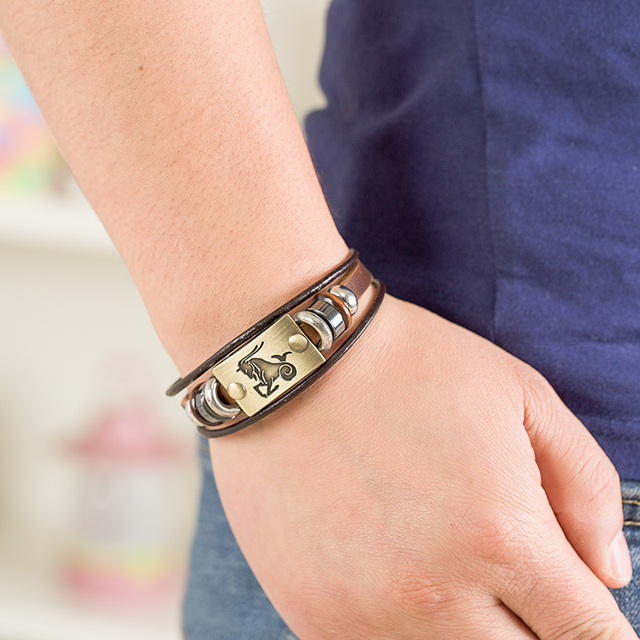 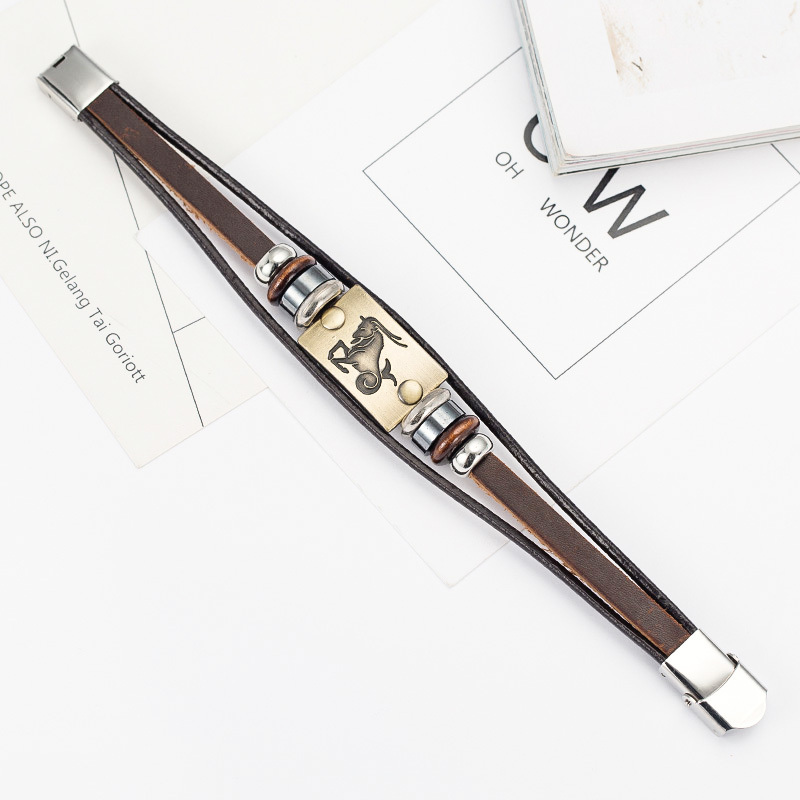 They are secured to your wrist by a stainless steel clasp.